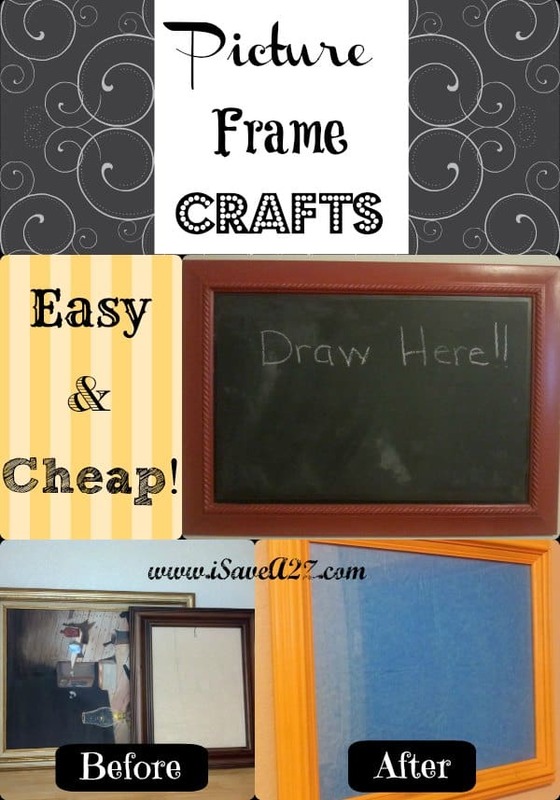 Picture Frame Crafts - Simple and Cheap Ideas You'll Love! I am happy to report that the kids area I have been working on is finally complete. The last project I had to do are these really cute Picture Frame Crafts. 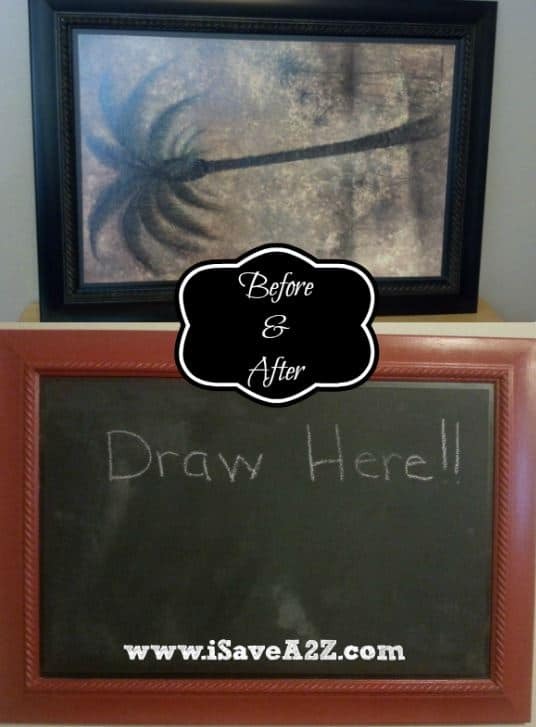 I have been wanting to try and make a chalk board and dry erase boards from old picture frames for some time now. They turned out really cute, are a HUGE hit with my kids and didn’t cost much to do. You know I couldn’t just have the plain wood or that very outdated gold picture frame. So again, I started by painting the frames. They each got a few light coats of spray paint, one in a bright yellow and one in an avocado green color that I’m obsessed with. 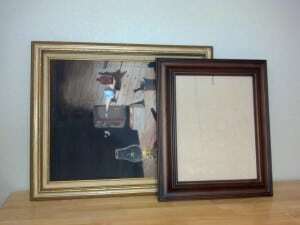 While that was drying, I took the cardboard backing of the pictures and began to cover them. This will go under the glass and you can use anything you like. I do suggest getting a solid color or very low key pattern because patterns can make your writing hard to read. That’s a tip from my mistake 🙂 The smaller board was going in my kitchen, and I used craft paper for the backing. On the larger one, for my kids, I ended up using tissue paper! It was all wrinkled and crumpled into a ball, but it gave it a cool effect. 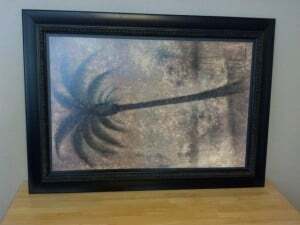 Once the frames were dry, I simply put the picture back together. Voila!! 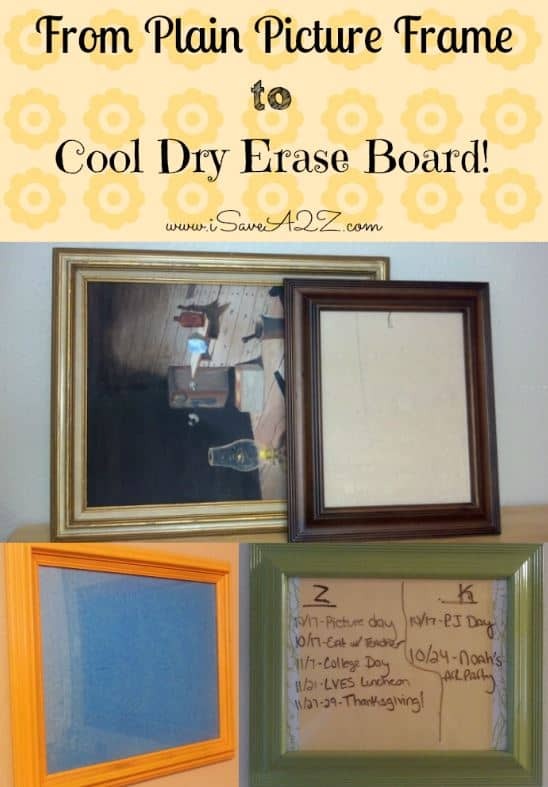 Two beautiful and very useful dry erase boards. As you can see, the one in my kitchen helps me remember all the school activities my kids have coming up. Both of my little ones started playing with the chalk board and dry erase board before we even got them hung up…SCORE! They have also become a learning tool. My daughter practices writing her name and my son tries out math problems. So here is our finished kid’s area! 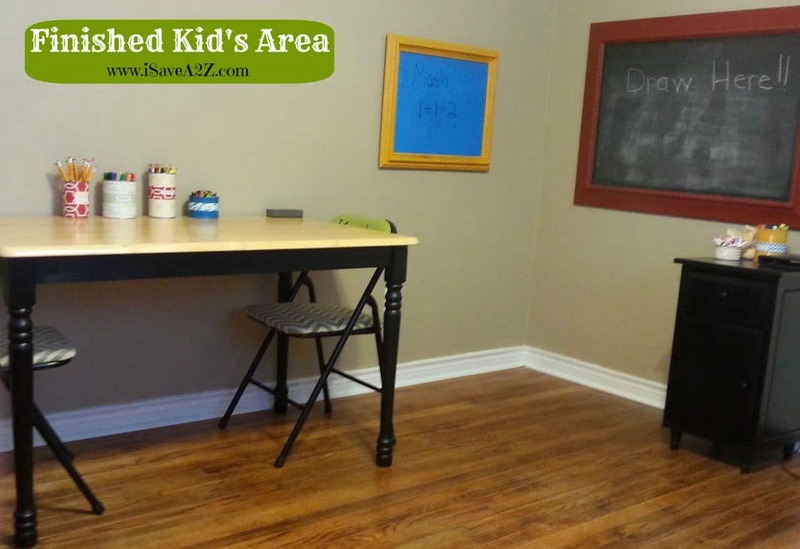 It includes our Tin Can Crafts and our DIY: Drab To Fab Folding Chairs that we did. By Jennifer on October 22, 2013 Crafts, Frugal Living, Home Improvements, On The Cheap, Organize, Redecorate.